In the previous EUR/USD forecast we noted that the 1.3 line remains pivotal to the currency pair. The fundamental situation remains uncertain due to the Cyprus crisis while the US economy continues to improve. Looking at the EUR/USD daily chart above we noted that the 1.3 line held as a resistance and the currency pair headed south for the week. Looking at the technical indicators on the chart, there is nothing to suggest an immediate reversal for now. 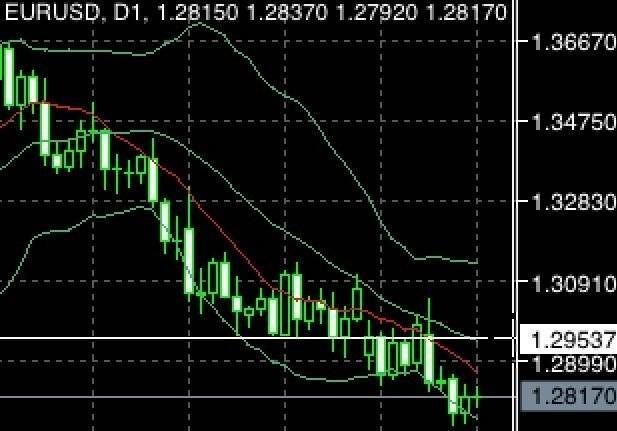 An immediate resistance for the EUR/USD would be the middle of the bollinger bands which is around 1.2950. On the other hand the immediate support would be 1.2800. In the previous AUD/USD forecast we noted that the currency pair was at a region where consolidation may happen and hence we should monitor this with the upper limit being right about 1.0480 and respectively lower limit being about 1.0380. Should the bearish momentum continue, the immediate bearish target / support may be 1.0350. The EURUSD was corrected higher yesterday topped at 1.2843. The bias is neutral in nearest term but overall I still prefer a bearish scenario. Immediate resistance is seen around 1.2900/50 which seems to be a good place for a short position with a tight stop loss. Immediate support is seen around 1.2800. A clear break below that area could trigger further bearish pressure testing 1.2750/00 area. The GBPUSD had a bullish momentum yesterday and hit 1.5218 earlier today. The bias is bullish in nearest term but overall I still prefer a bearish scenario. 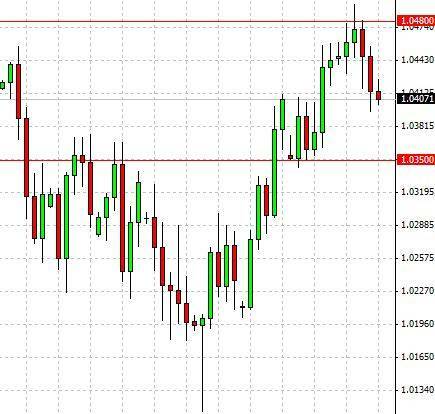 Immediate resistance is seen around 1.5250 – 1.5300 which seems to be a good place to short with a tight stop loss. Immediate support is seen around 1.5170/50. A clear break below that area could lead price to neutral zone in nearest term testing 1.5100. The USDJPY had another indecisive movement yesterday. The bias remains neutral in nearest term. Price is testing 94.00 – 93.50 key intraday support which seems to be a good place to buy with a tight stop loss. On the upside, nearest bullish target remain around 96.00. On the downside, a clear break below 93.50 would interrupt the bullish scenario and continue the bearish correction. The USDCHF failed to continue its bullish momentum yesterday bottomed at 0.9465. The bias is neutral in nearest term. Overall I still prefer a bullish scenario with nearest target remain around 0.9600. Immediate support is seen around 0.9400 which seems to be a good place to buy with a tight stop loss. The EURUSD continued its bearish momentum yesterday bottomed at 1.2750. The bias remains bearish in nearest term testing 1.2700 – 1.2660 area. Immediate resistance is seen around 1.2830. A clear break above that area could lead price to neutral zone in nearest term testing 1.2880 – 1.2900. Indicators are in oversold condition so any upside pullback now is normal and overall I remain bearish and still prefer to sell on rallies. The GBPUSD attempted to push lower yesterday slipped below 1.5100 but still unable to move consistently below that area so far. The bias remains neutral in nearest term. Overall I still prefer a bearish scenario but would need a clear break below 1.5100 to continue the bearish scenario testing 1.5050 – 1.5000. Immediate resistance is seen around 1.5150. A clear break above that area could trigger further bullish pullback testing 1.5200 – 1.5250 area.